The Houston Astros won the World Series, the biggest achievement in baseball each year, for the first time in their team’s history. They beat the Los Angeles Dodgers four games to three. The Astros won the seventh game of the World Series 5 to 1 over the Dodgers on Nov. 1. It was a hard-fought battle. The two teams were evenly matched. The fact that the World Series even went to seven games means that neither team ran away with the championship. The Astros won game seven early. They got five points in the first two innings, putting them ahead of the Dodgers right from the start. When the Cubs won the World Series last week, they made history. Some people say it was one of the most exciting baseball games ever played. The Chicago Cubs, hadn’t won the World Series in 108 years. That’s one of the longest “droughts” in sports history. The San Francisco Giants have won the World Series, which makes them baseball’s champions. On Saturday night, something unexpected happened in an important baseball game. The St. Louis Cardinals were playing against the Boston Red Sox in the World Series. The World Series is a best-of-seven series. That means the first team to win four games wins the World Series and is named the best major-league baseball team of the year. The games are always filled with tension and excitement, but Saturday’s game—game three—had a bit more of both. It was the bottom of the ninth inning. The game was tied 4-4. It was the last chance for the Cardinals to score a point. If they did, they would win the game. What happened next was very exciting. Part II Of TKN’s 2012 News Quiz. How Many Of These Stories Do You Remember? 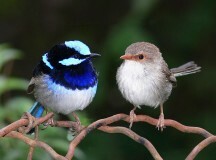 Yesterday we posted a quiz featuring questions from events in the news in the first half of 2012. Let’s see how much you remember from the past six months as you tackle these 2012 news questions. 17) What huge sporting event took place in Summer 2012? Bonus point if you know what city it took place in. 18) The man who famously said, “That’s one small step for man, one giant leap for mankind” passed away in August 2012. What was his name, and why was he famous? 19) Name the mayor of Toronto. Name one thing he did that was newsworthy in 2012. 20) “Replacement refs” filled in during an NFL labour dispute. What did they do that irritated many fans? 21) What did the Pope’s butler do in 2012 that made headlines? 22) Who won the World Series in 2012? 23) Why is nine-year-old Caine Monroy famous? For the second time in three years, the San Francisco Giants are baseball’s World Series Champions. The Giants beat the Detroit Tigers 4-3 in 10 innings. They completed a four-game sweep in the best-of-seven series. That means they won four games in a row, which gave them the championship. Former Toronto Blue Jay Marco Scutaro singled home the go ahead run in the 10th inning with two out. Pablo Sandoval (a.k.a. Kung Fu Panda) was awarded Most Valuable Player (MVP). That’s because in game one of the World Series he hit an amazing three home runs and, overall, he had eight hits in 16 at-bats. He’s a giant among Giants, and now his name will forever be in baseball’s record books. Wednesday night was the first game in this year’s World Series. The World Series is the annual championship series of Major League Baseball (MLB). 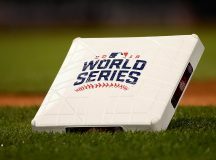 Since 1903, the World Series has been the big, end-of-season battle between the best teams from the American League and National League. 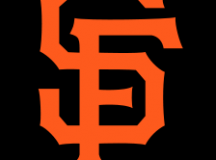 This year the Detroit Tigers of the American League are playing the San Francisco Giants of the National League. In game one on Wednesday night, history was made. The Giants beat the Tigers and their impressive pitcher, Justin Verlander. The Giants won 8-3. They took a 1-0 series lead in the best-of-seven series. 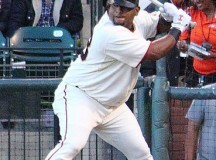 The highlight of the night, however, was made by the Giants’s heavy-hitting third baseman, Pablo Sandoval. Sandoval was born in Venezuela. He is affectionately known to his teammates as Kung Fu Panda.